On 31 July the European Commission proposed an action plan to promote the construction sector, the creation of jobs and economic growth. It is also intended to improve the market uptake of low energy buildings with high energy cost saving potential. Therefore the strategy includes stimulating favourable investment conditions, particularly in the renovation and maintenance of buildings. CEPI welcomes the publication of the strategy and recognises the potential benefits for the property sector as a whole. The strategy to boost the construction sector also promotes mobility by boosting innovation and improving workers’ qualifications. It improves resource efficiency by promoting mutual recognition of sustainable construction systems in the EU, provides standard design codes of practice to construction companies making it easier for them to work in other Member States and fosters the global position of European construction enterprises to stimulate good performance and sustainable construction standards in third countries. The construction sector is very important for the European economy, generating almost 10% of EU GDP and providing 20 million jobs. However it has been affected by a number of adverse factors, with building and infrastructure work falling by 17% between January 2008 and April 2012 across the EU-27. Amongst the adverse factors are the bursting of the housing bubbles in several EU countries and the contraction of the market for credit. As well as addressing these problems it is seen as important to ensure the sustainability of the sector and to meet the challenge of the introduction of nearly zero energy buildings as announced in the recast of the Energy Performance of Buildings Directive. Interesting elements of the strategy for property professionals include an initiative to create conditions for a better working environment and career prospects providing greater mobility, particularly in cross-border services. This will be done by stimulating an exchange of information on how to anticipate these needs, including the capacity of national education systems to meet future business needs. It is also interesting to note that construction was recognised as a priority sector in the Commission Communication of 8 June on the implementation of the Services Directive. The Commission will be looking very closely at regulation in the different Member States to see if any of the rules need to be changed in the interests of the Internal Market. Convergence will be facilitated through the use of Eurocodes, a set of design standards applicable to all construction. 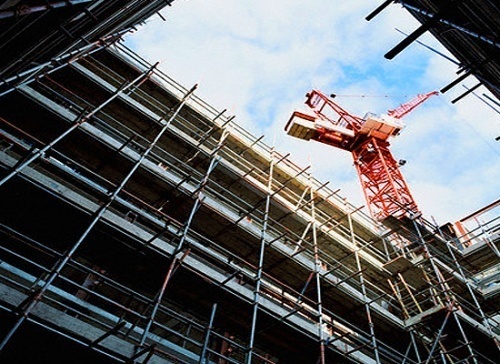 The Commission will issue the European Committee for Standardisation (CEN) with a mandate to facilitate the use of Eurocodes by construction professionals. The next step will be the establishment of a High Level Forum with Member States and sectoral representatives to oversee the implementation of the strategy and make recommendations. Other groups will also discuss various approaches for the implementation of specific initiatives, the likely effects of existing national and sectoral actions, and identify opportunities for synergies. Click here to read more. Visit also the "Build Up" website.